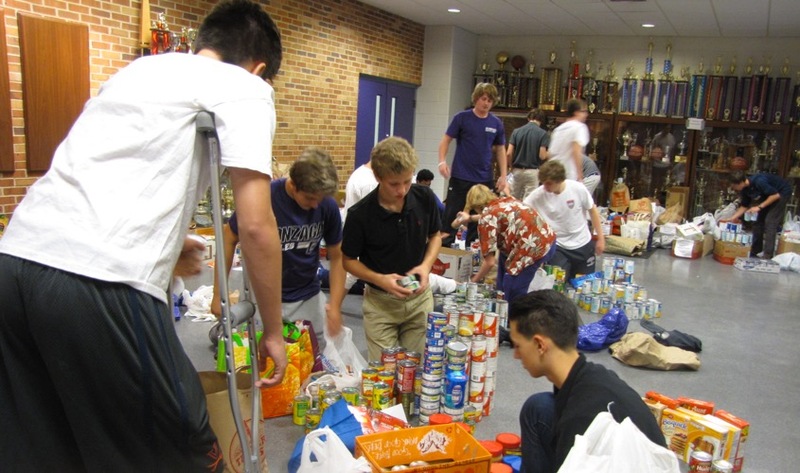 The Gonzaga College High School community came together during the week of November 2-6 to hold a canned food drive to support the Food Pantry at the Father McKenna Center. Gonzaga collected some 9,300 food items for the Food Pantry. The drive focused on soups, breakfast items (pancake mix & syrup) and peanut butter and jelly. It will be enough to supply the Father McKenna Center for weeks and months to come. Thank you, Gonzaga! Go Gonzaga, Beat St. John’s!! !